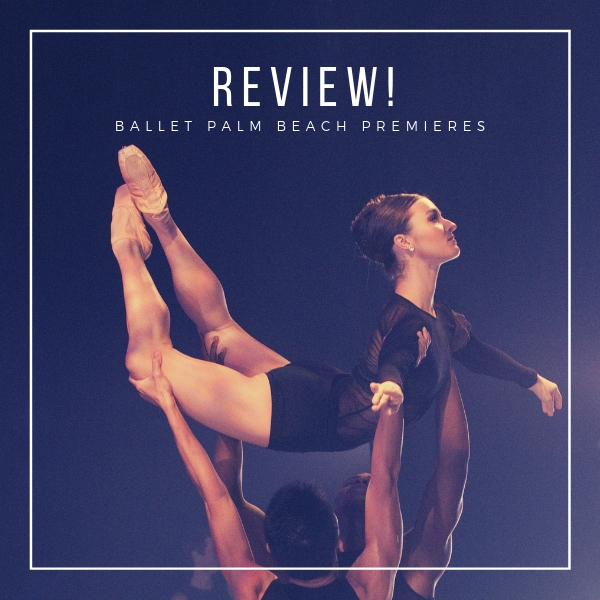 Ballet Palm Beach presented a rare offering for their audience tonight with a group of pieces that can hardly be categorized. “Premieres” boasted three world premiere pieces and ‘Sonatine'; a rarely performed Balanchine. Supported by Artistic Director Colleen Smith, and underwritten in part by Rob and Amy Swan, these special moments of performance art came alive and stole the breath of the viewers – the artistry only enhanced by the intimacy of the Rinker Playhouse at the Kravis Center for the Performing Arts. The evening’s performance opened with “The Russ and Ellen Show, a love story circa 1945″ which was written, directed, and choreographed by Donna Goffredo Murray. It was a treasure of living history. Narrator and dancer Brittany Bonefas sang so beautifully familiar tunes like “Pennies from Heaven” and “Til the End of Time” to transport everyone to the 1940’s. Fusing ballet, musical theatre, and swing, the jitterbug execution was a flurry of light blue and red fabric as the ensemble smiled their way through the piece. Madeleine Miller brought fun and life to her portrayal of Ellen, and Aurélio Guimarães was charming as Russ, especially with his hat choreography. The mood shifted from light and fun to a serious tone with the classical ‘Sonatine’, choreographed by George Balanchine and brought to Ballet Palm Beach by Répétiteur Zippora Karz. Accompanied on the piano by the talented Cassie Mara Makeeff, the music by Maurice Ravel drove the piece like the wind moves the leaves as Lily Ojea Loveland and Aaron Melendrez seemingly effortlessly glided through the air. The Pas de Deux evoked irreverence, connection, and just when the phrases seemed disconnected, they were conjoined. A particularly memorable moment was when Lily focused out towards the audience and Aaron took her hand from either side repeatedly until eventually spinning her arabesque – triumphant. ‘Into the Woods’ by Christopher Huggins was an original and breathtaking piece that left everyone wanting more. Alvin Ailey’s influence was apparent in the work in the shapes and expression, but there was a voice in the movement that was entirely unique. The juxtapositioning of extensions and compressions conveyed both play and deep emotion. ‘Into the Woods’ could definitely be the start of the full length piece. Loved the journey of the three dancers. The final piece of the evening, ‘fra ct ured’, reminded me of a museum like the Louvre or the Uffizi. Choreographed by Gina Patterson to music by Philip Glass and Antonio Vivaldi, ‘fra ct ured’ was unlike any other dance piece. Highlighted by lighting designer Chris Pennington, the dancers first presented statuesque still lifes before they sprang into what can be described as neoclassical ballet meets modern meets everyday life. The dance itself was fractured, the costumes were as well with blended grey tones, and the piece presented an artistic array of moments, totally disconnected, yet reminiscent of daily life. The connections between dancers both evolved and dissolved in an instant, so much so that the audience was shocked into applause as the dancers continued to pose in the darkness. 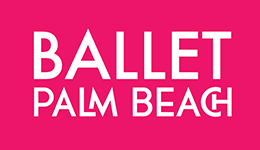 Tickets are $45 each and may be purchased by visiting www.balletpalmbeach.org or by calling 800.572.8471. The Kravis Center’s Rinker Playhouse is located at 701 Okeechobee Blvd. in West Palm Beach, FL.